These Acne Treatment Facials can Solve your Skin Woes in No Time! Acne can be an embarrassing problem to deal with. Often caused by a myriad of factors from diet to hormonal changes, it can be hard to pinpoint the exact cause of an acne breakout. Acne facials are one of the less evasive yet effective ways to solve your acne problems. We at Beauty Insider recommend our top 3 best acne facial treatments. After all, a regular Dermatologist approved skincare regimen can only do half the work- acne treatment facials are proven to solve your skin problems quickly. My Cozy Room Boutique Spa is definitely a household name at this point. A quick google search will reveal its title as having the Best Extraction Facial in Singapore. For Acne sufferers specifically, they have a customised facial called the LED Anti-Acne Facial. Best for stubborn acne or long term sufferers, the different kinds of light can be customised to your individual skin problems and skin type. 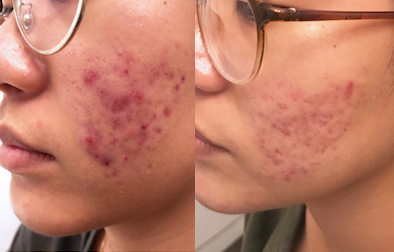 Most stubborn acne lies beyond the surface, and the light used is able to penetrate deeper into the skin without causing damage or being invasive. LED Light Therapy has proven to be extremely effective for acne-prone skin. Blue light targets P acnes by stimulating bacteria growth that works against existing bacteria causing acne to self-destruct. The entire process is painless and is often described by happy customers as relaxing and beneficial. For the CNY period, My Cozy Room Boutique Spa is having a promotion for 1st time customers. A full trial session for this facial is going at 50% off (U.P. $388). So try it out for yourself! Book an appointment at Lamis Skin and walk away with clearer skin! 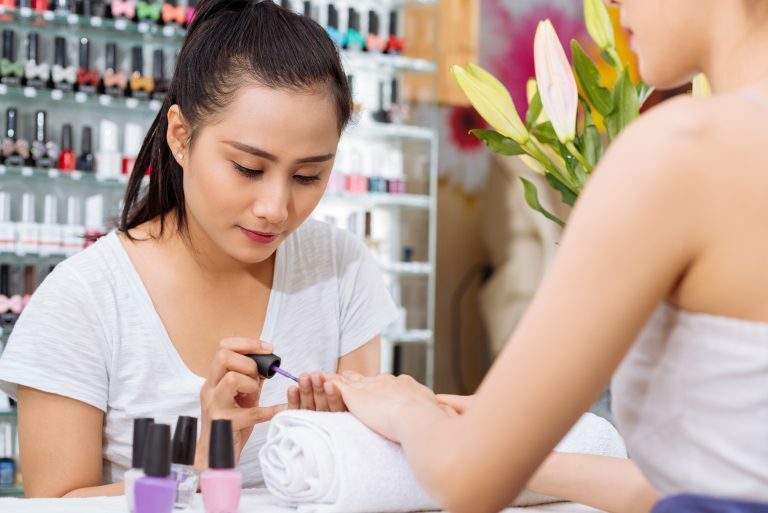 Lamis is a full service beauty salon that focuses on a holistic experience toward beauty and wellness. The atmosphere and ambience at Lamis exudes luxury and calmness to put you in a restful mood the minute you enter the salon. The owner of Lamis is a CIDESCO qualified beautician and has over 18 years of experience in the industry. This ensures an impeccable standard of treatment by only the most qualified aestheticians in the industry. Lamis has a facial treatment specifically targeted at acne prone skin. This Intensive Purifying Facial Treatment is a 2-hour treatment that aims to draw our deep-dwelling pore-clogging pores impurities such as oils and impurities. The chemicals used within the treatment help to neutralise poisons and toxins. For first time customers this Chinese New Year, a full trial is available at just $98! (U.P) $388. Do not take our word for it, try it out for yourself! Book your Appointment and get rid of your acne now! Indulgence Beauty works to customise acne treatments to your individual skin type and skin concern. Not all acne problems are the same and some acne treatments only target the skin concern without understand the root of the problem. With their unique 4-step approach to consult, analyse, recommend and manage. Indulgence Beauty ensures a fully customised approach to your acne concerns. One of the best parts about their acne facial treatment process is that it also incorporates a similar home skincare regimen you can follow. This emphasises the chemicals and treatments administered during the facial treatment process. Therefore, you can rest assured that your skincare regimen is consistent and that long-term positive effects are guaranteed. Estetica is not just a beauty saloon, it also collaborates with various research and development companies to create the best in cutting-edge skincare. Estetica prides itself with an extensive research process for each and ever customer that walks into the door. A thorough skin analysis with no hard-selling is done for every paying customer. This allows the beauty therapist to cater the treatment to your skin history and stay away from chemicals that have affected you in the past. We recommend the Acne Biotic Facial Treatment as it specifically targets sebaceous glands and reduces sebum from the root. It also aims to restore skin’s natural PH balance while eliminating acne scars and removing clogged pores. This treatment is also available at a discounted rate of $98 (U.P. $280) for first time customers. Try it out today!